A new category on Fratellowatches.com! A lot of non watch related blogs have some sort of picture day. Where they put the best/nicest or just all pictures on line on a certain subject. Why not for watches? Most watch fanatics can’t get enough of them! 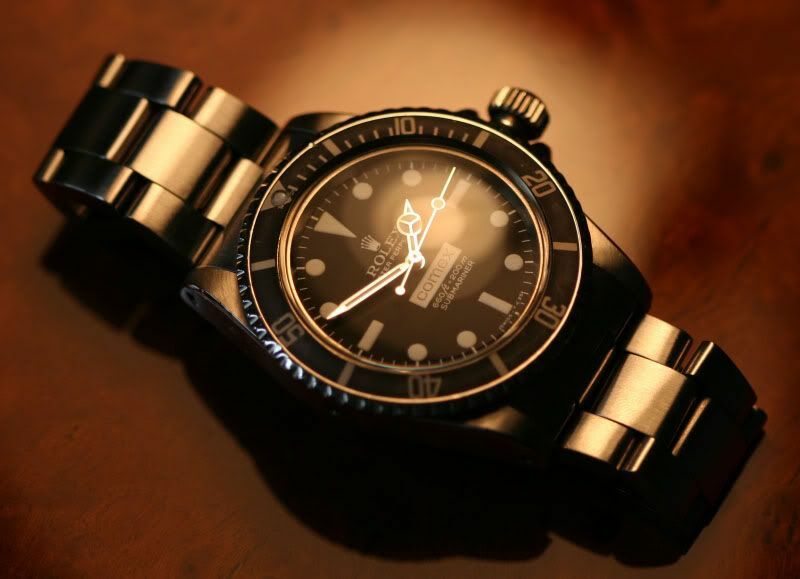 This week, number 19 of 2005 according to this website, I kick off with this great photograph of a Rolex Submariner ref.5514, Comex edition. This photo was made by Paul Boutros and posted in this thread at WatchRap.com. If you have a watchphoto to submit, please mail it to: fratellowatches@gmail.com and state the name of the photographer and specs of the watch.